The Prairie Grass fabric range was produced using a new technique in painting fabric. The inspiration was an embossed greeting card. The depth and shading is a superb effect. We hope you love it as much as we do! Priced Per 1/4m Long Length, with multiple lengths supplied in a continous length. (e.g. 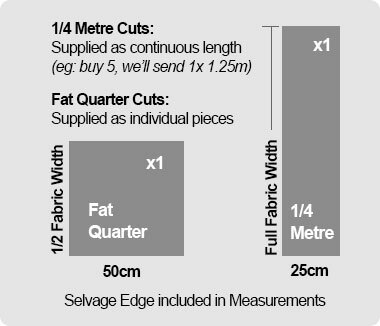 a quantity of 5 meaning 5 x 1/4m = 1.25 metres, which would be cut and sent as a 1.25 metre piece. This Cotton patchwork fabric material is 44 Inch Wide Wide. 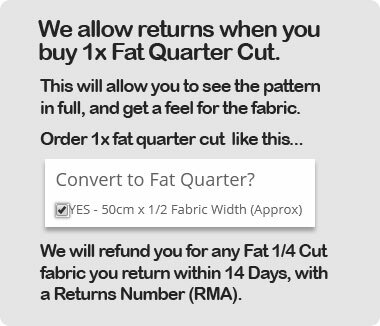 Please note, that this product cannot be returned once cut from the roll. Thank you. 1/4m Length x Fabric Width. Order Qty 3 we will send 0.75m Fabric as a continuous piece.